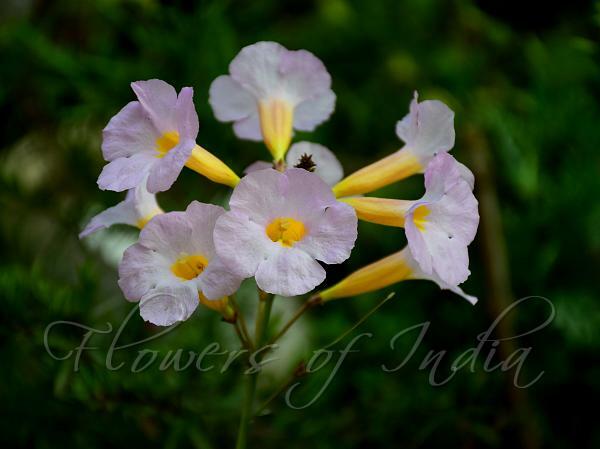 Himalayan Incarvillea is a handsome plant with one-sided clusters of 6-8 large pinkish-purple tubular flowers which are orange yellow inside. Flowers have rounded, fine-pointed sepals. Flower tube is 3.5-5.8 cm long, with rounded petals. The stem is unbranched, up to 50 cm tall, with leaves clustered at the base. Leaves are compound with 9-11 ovate, toothed leaflets, 1-4 cm long, or leaflets sometime lobed. Capsule is linear, up to 18 cm long. 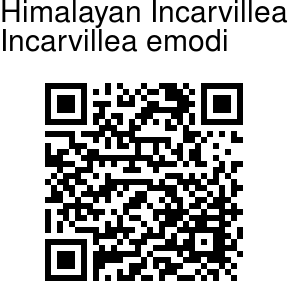 Himalayan Incarvillea is found in the Himalayas, from Afghanistan to W. Nepal, mostly in rock cervices, at altitudes of 600-2500 m. Flowering: March-April. Identification credit: Amit Kumar Photographed in Byasi & Mussoorie, Uttarakhand.